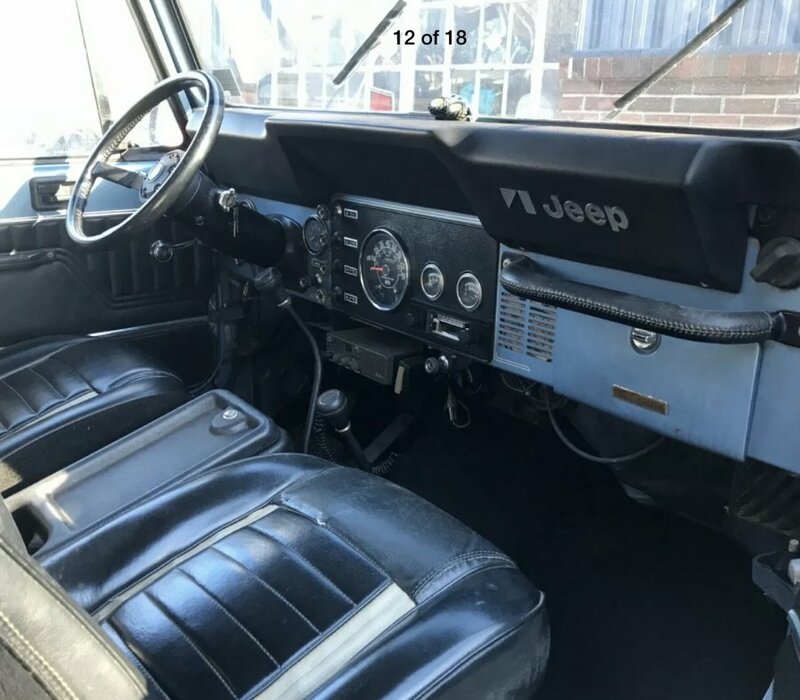 JeepForum.com > Models > Jeep CJ Forum > Back to a CJ! Well..... I finally made it back to a CJ7. Last one I had was in 2009. Since then I have owned 4-5 Tj's and 2-JK's. Wish I still had my 1983 Scrambler, but this one should do the trick. 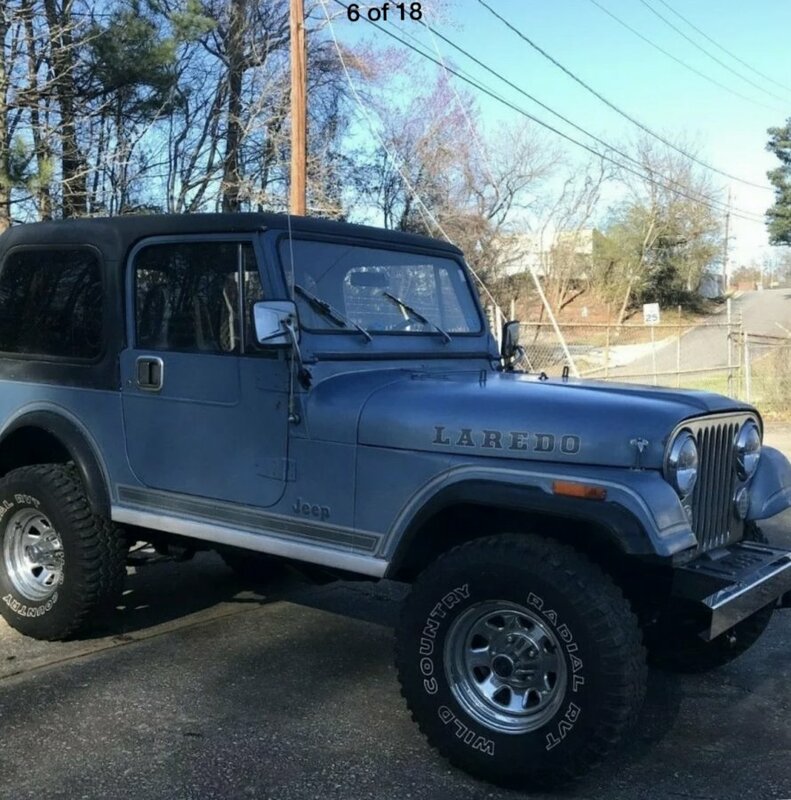 She's a 1984 CJ7 Laredo, 2 previous owners, 4 speed, 4.2 6cyl, 79k miles. The last owner had it for 27 years (I cannot believe he sold it to me). Well she needs a few things , but I plan to keep her stock and leave the beautiful 35 years of Patina. I would love upgrade suggestions that would also keep her as close to stock as possible. i.e. stereo, brighter headlights, etc. I have already removed the Hardtop and doors. She is sporting a bikini for the summer. I'll post more pics later. John Strenk, trailhead2004, zarnold and 1 others like this. Nice Jeep, I like it! Cool Jeep, reminds me a lot of mine when I got it. I think mine is heckuva lot more faded though! More pictures. As it is a 1984 you may want to investigate your emissions equipment and whether you need to keep it all. The 1984 came with a complex CEC system that can be hard to find parts for, hence the Nutter bypass and distributor mods have been devised to bring it back to a 1981 configuration for better economy, more power and more reliability. However, depends on where you live. When it is time for a tune up you could Teamrush upgrade the ignition for cleaner spark. Not much more than a regular tune up. If the carb is working, no need to change, the BBD carb can soldier on for years with a bi-annual rebuild and clean. iF you want to change, lots of choice out there. 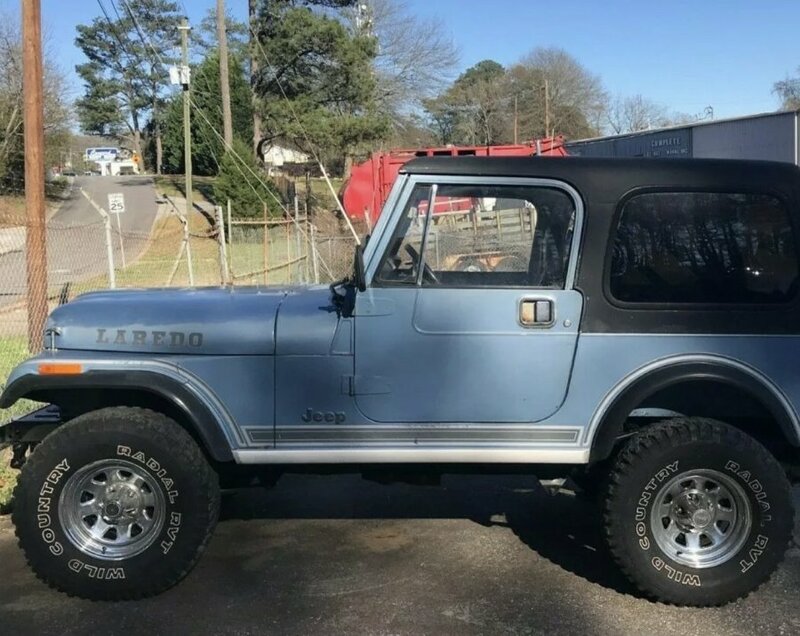 Any old CJ will benefit from new fluids and filters, including brake and coolant and axle and transfer case. Brighter headlights can be achieved with a relay harness, feed those yellow orbs direct from the battery and they will shine, you could be increasing voltage at the headlight by 2V. Stereos are difficult, depends on whet you are looking at. Bluetooth speakers on the sports bar are the latest way to blend technology with something cheap and water resistant. Future Mods: OEM front and rear seats. Just acquired a set that I will recover and repair in the future. I would defiantly keep that CJ as is, as it is a rolling time machine that can't be duplicated by comparison of today's techno wiz vehicles. 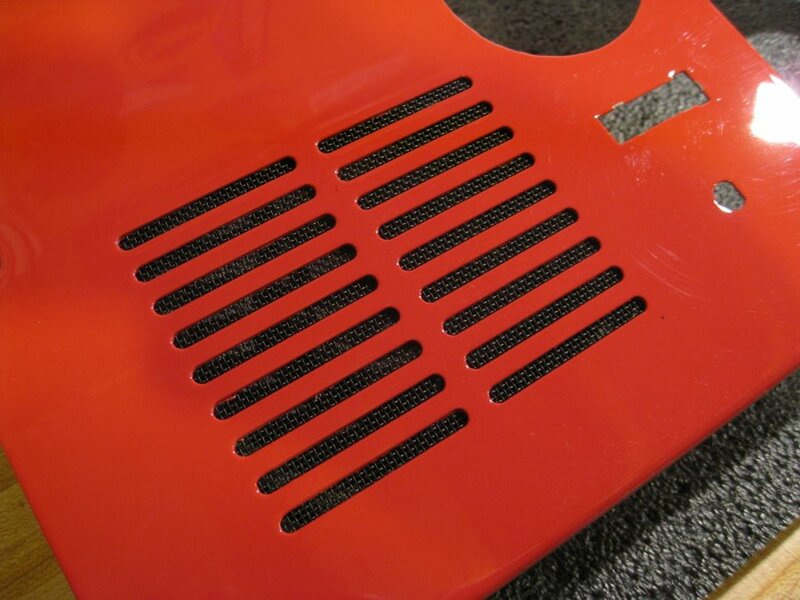 Putting a screen behind the speaker grill is another mod you might want to do. 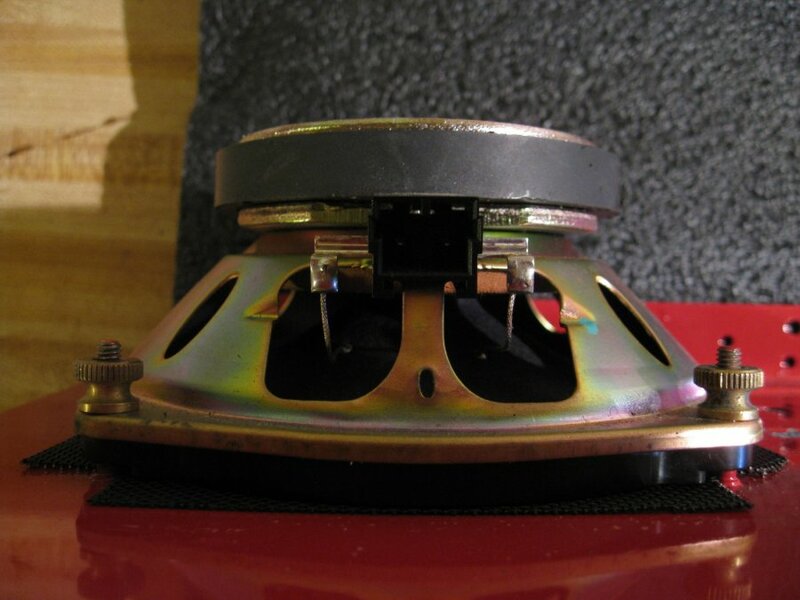 Hides the ugly parts of a speaker and is like the OEM cover the Jeep speakers had. Thanks for all the info! She is at a friend's shop right now and we are putting in fresh fluids, checking brakes, U Joints, new set of BFG Mud Tires(the current tires are 11 years old) & running down a ground issue for the dash lights/temp gauge/Fuel Gauge. The PO has already replaced the carb(not sure what I have yet), and the emissions aren't a concern in my town. I guess we will not worry about that unless something fails. I'm definitely going to look into the headlight upgrade and weighing my options on the stereo. Probably will go with the hog tunes setup (already have the amp from a Harley that I had) that is mentioned later in this thread. Nice! I have a Hog Tunes Amp from a Road Glide. I may see if I can pair it up with those speakers. Probably will go with a new retro style stereo. I like the modern convenience of Bluetooth, etc, but don't want to cut the dash or change the center console. I will post more pics when she gets back from the shop. Wow that is a nice Jeep. I would not change anything. Would you mind posting the price you paid? In the North East that is a 20k Jeep. I paid $13800.00 My budget was $15k and that's was his bottom dollar to start with (was asking $16k), but it needed tires(old and dry rotted) and it doesn't have the original Spare wheel, so I used that to get the price down. I found a set(4) of new 32/11.50 R15 BFG Mud Terrains for $800.00 installed. They are going on today. Could use an original Laredo chrome wheel if anyone has one to sell.